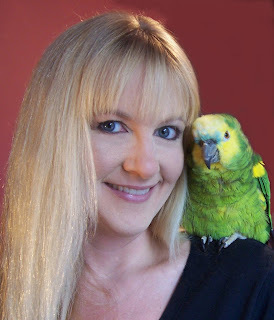 What you usually see is a blog that is presented as someone’s personal journal through parrot owning. When you dig a bit deeper you see the post is not really their personal story, but appears to be a reposting of something you may have read elsewhere. It seems like perhaps their content might have been provided by someone else…perhaps an internet marketer’s stock supply of articles? Maybe? Often when you click on their profile for more information, under “occupation” or “areas of interest” they even boldly say “internet marketing” Usually these folks are affiliates for the main company selling the parrot training information, toys, or other products. At some point in their blog readers will be directed towards the bloggers “new favorite product.” Ah, the real reason for the blog is revealed! I have no problem with affiliates. I have no problem with people selling stuff. I do have a problem with someone misrepresenting themselves as an innocent consumer with no hidden agenda. I think they should admit that they are on the payroll. Another new trend is inserting words into a blog that are often searched on the internet like “Viagra” or “insurance.” The words have nothing to do with the subject of the blog. At the end of the blog is the link to the parrot website. I don’t usually like to give links to these examples so as not to give those sites more traffic. But this one is the perfect example of many of the problems. http://baeisfds.blogspot.com/2008/07/get-your-quaker-parrot-talking.html First it starts with a bogus blog with the non related words inserted. Then it sends you to a parrot site that is laden with ads, including a youtube clip from avian veterinarian Ellen Cook that they do not have rights to post on their site. http://www.train-parrot.com/ It also includes articles from some of the people most notorious for aiming to make a buck via massive internet marketing. In some ways these sites are a blessing. The more “hard sell” sites that crop up, perhaps the more people will be questioning the purpose of these many parrot related sites. Are they there to rip off the innocent consumer or are they legitimate sellers with solid information and the credentials to back it up. Perhaps the consumer will be forced to be a more cautious shopper. I hope so …….for the sake of their birds. On a positive note there are some fabulous legitimate blogs out there. I love hearing about Melanie and Stewie, Sid Price offers good solid free advice…no strings attached, as does Raz. 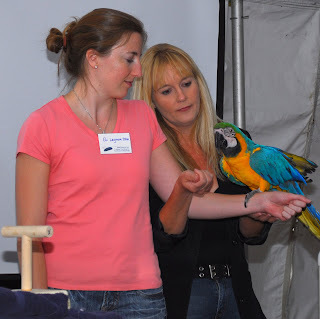 Patricia Sund also has a new blog that showcases her adventures in the parrot world. These sites are based in the science of behavior analysis, written by people with no hidden agendas who truly love parrots and training. And while they are often kind enough to mention Good Bird Inc, they are not on the payroll :) Visit them for great information. At a recent zoo consultation I found myself in a bit of a pickle. A department I have been working with for a number of years had experienced a great deal of turn over due to things like births of new babies, health issues, etc. This left them a bit short handed. They also moved their entire group of animals to another part of the zoo. This meant lots of work for the staff and little time. 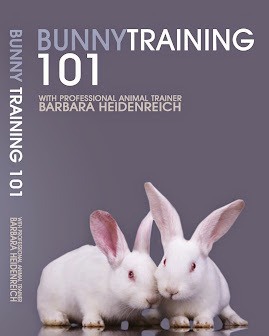 The end result was much of the good work we had done training dozens of animals was starting to break down. Attaining a training goal doesn’t mean it will stick permanently. We still need to continue to reinforce desired behavior in order for it to be maintained. On the flip side if a behavior breaks down it also is not lost forever. What needs to happens next is refresher course in the importance of committing to a positive reinforcement approach to every interaction with an animal. This commitment needs to happen with every person that works with the animals because one person’s poor training can affect everyone’s relationship with the animals. For example some chickens that were very well trained to enter a kennel, were starting to choose to move away from people when they approached. This was the opposite behavior from what had been trained. What happened? It was discovered that when the chickens are a little slow to go into their nighttime holding enclosure they were being shooed inside (negative reinforcement.) by some individuals. To get back on track caregivers may need to ask for smaller approximations they can positively reinforce to get the chickens moving towards a target, kennel, enclosure or person. They may also want to try to retrain the behavior throughout the day when there is not an immediate pressure for the birds to shift. The good news is usually a behavior can get back on track in just a few sessions or less. So how does this relate to your parrots in your home? Well, I can think of a number of times I have been in a household and watched behavior breakdown because not everyone in the house was using the same approach to influence behavior. 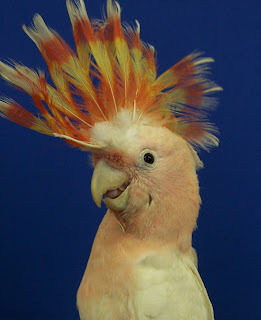 For example I can think of a screaming cockatoo that was never reinforced for screaming by the mom in the home, but occasionally reinforced by her teenage son who would run to retrieve the bird when the parrot screamed. This intermittent schedule of reinforcement kept that behavior strong! Or how about the cockatiel that never once was forced to step onto the hand until a new baby entered the household? An innocent grab towards the bird by the child caused the parents to occasionally push into the bird’s chest and scoop him up for his own safety. Next thing they know their sweet angel of a bird is beginning to bite at fingers to protest the coercion he had never known before. Keep in mind that very rarely do we need to resort to coercion to get behavior. Positive reinforcement creates quick, reliable, repeatable behavior. And often behaviors trained with positive reinforcement can be learned in one or two sessions. 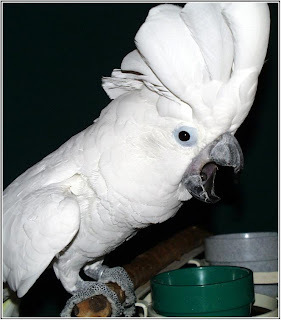 Try to arrange situations so that your parrot can easily achieve the desired behavior and then challenge yourself to positively reinforce every time your bird does what you want. It is not just about training sessions. It is about every time you interact with your companion parrot. Practice this and you will find your parrot’s good behavior can become very strong and resistant to breaking down. Susan Friedman, PhD and I developed these guidelines to use when involved in a training session with your bird. 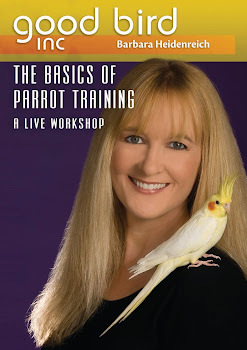 We have been fortunate to teach a number of workshops with hundreds of parrots and have apllied these strategies with good success. We hope you will find them useful. Make it your goal to create an environment in which a parrot appears relaxed and comfortable at all times. This can only be inferred from the parrot’s body language, specifically the behavior of feathers, eyes, head, wings, body, legs and feet. Approach unfamiliar parrots slowly, calmly and quietly to avoid creating any signs of anxiety, fear responses or aggressive behavior. If a parrot presents any signs of anxiety, fear, or aggressive behavior discontinue the actions creating this response, including lowering hands or stepping away from the parrot. If a parrot presents aggressive behavior, immediately discontinue actions creating this response. Keep your attention and your eyes focused on the parrot. Avoid engaging in conversations with people around you when committed to an interaction with a parrot. If you need to direct your attention away from the parrot for more than a few seconds put it back in the enclosure or carrier if that is a place where the parrot is relaxed. Be aware of where you place or hold food in the presence of a parrot, as this can cause anxiety. Be aware of how every action you do influences the parrot’s behavior and adjust your behavior moment by moment to maintain a calm bird. Be aware of moving objects and how that may influence parrot behavior. Move crate, carriers, cages that contain parrots with extreme care to minimize jostling or bumping the bird. 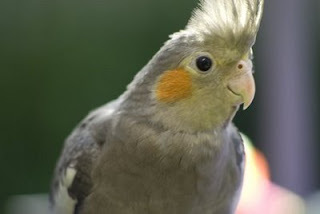 Prior to removing a flighted parrot from an enclosure or carrier, evaluate surroundings for safety and address any potential safety issues (cover large mirrors, shut doors, pull down shades, etc.). 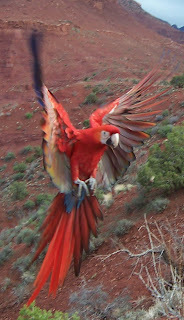 If a parrot launches into flight, offer the parrot your steady, firm hand as a place to land. Be aware of the parrot’s body and its proximity to surrounding objects. Avoid hitting tails, wings, and head on anything. This may require careful placement of the perch or hand where parrot is positioned. Avoid creating a high level of arousal/excitement (e.g. bobbing or crest raising) by talking loudly or using other animated actions. This can sometimes contribute to the presentation of aggressive behavior. While another person is working with a parrot, quietly observe as unobtrusively as possible to minimize distractions for both the parrot and the primary handler. Robin Shewokis enrichment guru and owner of The Leather Elves (http://www.theleatherelves.com/) and I are now hosting a pod cast. The first show was recently posted on http://www.petliferadio.com/ We are the new hosts of a show formerly presented by Susan Chamberlain called "Wings 'n Things" The current show description will soon be changed to reflect the new direction we are taking things. The show will be a bit more focused on behavior, training and enrichment. However we anticipate we will cover more topics, especially when we get to interview some of the many inspiring people we have met traveling for speaking engagements. To listen go to http://www.petliferadio.com/ and click on Wings N Things. Please feel free to spread the word, cross post and also drop me a line if you have a suggestion for a show topic. Jackpots are really a “trainer” thing. I define them as bigger or more preferred reinforcers presented after an approximation that might be particularly challenging for the bird to achieve. I also use them when an approximation is presented that is a bit closer to the final desired goal. In theory my hope is that the parrot will learn that the approximation that earned the jackpot is worth repeating. I see them particularly useful as a tool to keep behavioral momentum going and also to get past hurdles in training. However, I am also careful not to jackpot too often. This is because a parrot may find it frustrating or perhaps even punishing to receive lots of great treats and then suddenly the good stuff disappears when you go back to the normally received reinforcer. I also don’t want the reinforcer to be so distracting that the parrot forgets what was happening in the training session. Here is the really interesting thing. At this point there is no scientific data that supports “jackpotting” as a tool to facilitate training. In fact some think jackpots do more for the trainer than the animal. They just may be a superstitious trainer thing. It makes us feel good to offer a better reinforcer when the parrot has done well. 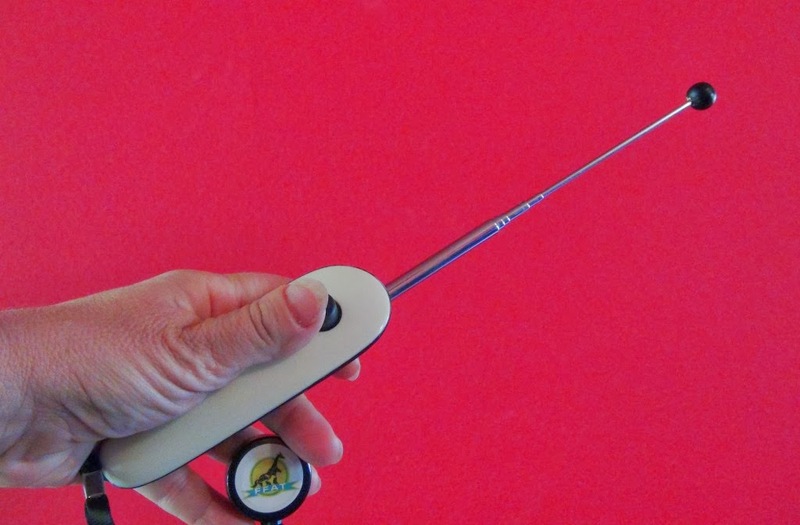 The good news is there are a few researchers working on experiments to test jackpotting. I am anxious to hear the results. I too am learning and perhaps I will soon learn that jackpots were really just reinforcers for me! We’ll soon see. I have been inspired by a question posted to my yahoo group. The question was asked how do you get a parrot used to a new toy? I think that is a marvelous question. 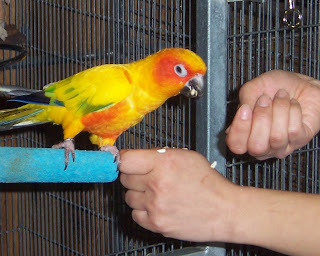 All too often we assume because it is a toy, our parrots should automatically be eagerly interacting with it. In general parrots tend to show hesitancy around new items or situations. As positive reinforcement enthusiasts, most of us know that we can train our birds to be calm and confident with change. But it does take some investment on our part. Not a financial investment, but a commitment to teaching your bird via positive reinforcement training strategies. But if in this moment your bird has clearly demonstrated new toys create a fear response, what can you do? I usually start with systematic desensitization. This means I place the toy a distance away from the parrot. I also make sure the bird is presenting calm relaxed body language. I then leave the toy there for a period of time, maybe even days. Over time I gradually place the toy closer and closer to the cage. Again making sure the parrot is relaxed and comfortable. Eventually I may hang the toy on the outside of the cage, but near the bottom of the cage. I can gradually move it higher. When the parrot is ready, I can try moving the toy to inside the cage. I usually put it away from food and water bowls and preferred perches. This is because if the bird has any concerns with the toy that I failed to notice, it will not be a hindrance to his physical needs and comfort. Once the parrot is comfortable with the toy in his cage, now I can consider some of my other positive reinforcement tools of the trade. I can use a target to help encourage the parrot to move closer to the toy. I could pair positive reinforcers with the toy, by placing them near or on the toy. I could also “free shape” the behavior. To free shape, rather than use a target or a food prompt, I would just wait until the bird presents an approximation I can reinforce. For example if the bird looks at the toy I can reinforce that. After several repetitions the bird may move in the direction he has been looking. I can reinforce that. Eventually the parrot may move closer, and over time try to touch the toy. This is all shaped by looking for the slightest approximation towards the desired goal behavior of interacting with the toy. I recently used this strategy to help my puppy get past a fear response he had with a new vacuum cleaner. First I reinforced him for looking at the vacuum from far away and then reinforced him for approximations he took moving closer to the thing. He then sniffed it and eventually touched it with his nose and paws, and even moved it. The entire process took about twenty minutes. I have promised my yahoo group http://pets.groups.yahoo.com/group/GoodBirdGroup/ I would get the video clip on my You Tube site. http://www.youtube.com/GoodBirdInc I will notify everyone once it is up! Hope this gives readers some ideas for ways to get your parrots playing! Today I must admit, I find myself very saddened by some of the things I am seeing on the internet. My colleague Sid Price expressed the same concerns in his recent blog. http://avianambassadors.com/BirdTraining/ There is a current trend in email marketing that while apparently not illegal sure seems to border on the unethical side. I found a site that featured a super cool you tube video clip on a web page of a talking parrot. Under the video the people who own the site listed all the things the bird could do, which are really very, very impressive. However below that were instructions for the reader to buy their training product if you want your bird to learn to do the things showed in the video. Well, I am cool with people selling their product. There are plenty of us with something to offer. But one thing was a little difficult for me to overlook. The video clip is one of a colleague of mine who works at a zoo. The bird she was training belongs to the zoo. So I asked my colleague…..did you know you and the zoo’s bird were being used to sell this person’s product? I wasn’t surprised to hear she had no idea. Like me it sure rubbed her the wrong way….. and the news was sent to the zoo director. Here is a fabulous very experienced trainer and a bird that has been doing shows for somewhere in the neighborhood of 15 years or more for a very prominent zoo being used without their consent to sell someone else’s product. Bummer. And in this trainer’s opinion…unethical. I admit I too share videos of other trainers, but as someone who wants my copyrights respected, I am painstakingly careful to make sure those who have generously shared video with me are credited each and every time I present their videos. Those of you who have been to my parrot behavior and training workshops can attest to that. Of course more emails featuring zoo professionals unwittingly being used to sell someone else’s product followed. All this makes me wonder …if this training system is so wonderful, why doesn’t it feature birds trained by the seller or clients of the seller? Are these self proclaimed experts not really what they claim to be? If the product is so wonderful I would think providing plenty of examples of the real results of people using the product would be the ideal way to sell the item. To add insult to injury, on the very same day I read a very old article from Winged Wisdom’s online magazine on reading bird body language. Shortly after that I received a marketing email sharing the “secrets of bird training” that also featured the subject of body language. “I’m game, I’ll read that one.” I thought. Yowza. The email was almost word for word the 10 year old article by the author I had just read. Of course that person could have given permission for the use of her article, but sadly it was presented as new, original teachings of the person selling again secrets to bird training. Again in my opinion very misleading to the public. If someone is professing to be an expert, but in fact is using other’s people writings (with permission or not) and putting them as his or her own ideas it is misrepresentation. It leads me to ask just what are the seller’s credentials if any? I am guessing they are lacking, if they indeed are resorting to using and/or buying other people’s material. Unfortunately how can the general public know the difference? This misrepresentation of one’s knowledge and experience is easily sucked up by those naïve to the bird training world. And no doubt has been successful for those sellers who use those methods, otherwise they wouldn’t do it. A behavior that is repeated has been reinforced. So indeed money talks in this case. So what to do, what to do? And is there anything to do? In my opinion there is. My hope is that there are enough of us out there willing to take a bit of stand against these practices. For one if something appears to be lifted, contact the person whose rights were possibly violated. They have the right to know and decide what they would like to do. Secondly I would suggest steering prospective learners in the direction of teachers you trust. It certainly does not need to be me, although I do appreciate the support. But there are a number of really, good, honest, ethical experienced, professional trainers out there and I promote them in Good Bird Magazine and on my website. Use them. Support them. Refer people to them. Buy their products. And if asked for your opinion of these marketing practices, I hope you will share this story as well as your own experience. I personally don’t feel comfortable standing by and watching good people and colleagues misrepresented in this manner. I hope you feel the same. Usually readers of my publication, Good Bird Magazine, are the ones to submit success stories to me. 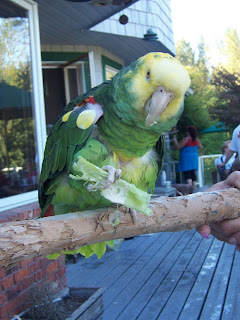 For a change I thought I would share a success story about a parrot named Chile. 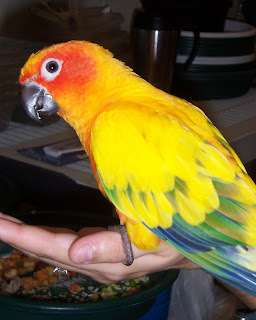 Chile is a sun conure. Chile was a bird that had been used in Education Programs for some time. However his reputation was not so great. He was known to make a piercing scream when he desired attention. He bit so hard and so often his handlers had resorted to wearing a leather glove to pick him up. He also was showing an inclination to only interact with one person. And he was doing a kamikaze launch onto the backs of passers by he seemed to dislike. In his case the target was often men. Needless to say the mere mention of his name often caused people to sigh and roll their eyes in exasperation. But all that has changed. Now staff members talk about Chile with affection. I even heard the words "Chile" and "Superstar" used in the same sentence! What is responsible for this change? 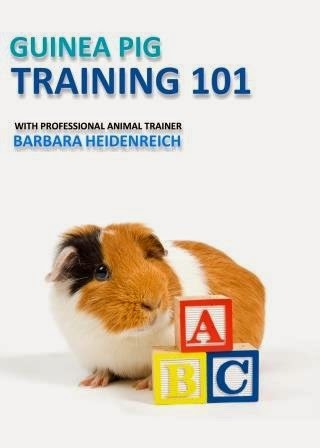 Positive reinforcement training. The first step was to throw away the leather glove. Which in a way is symbolic of throwing away those old training strategies that rely upon coercion and aversives. Our goal was to create a situation that was so fun for Chile there would be no reason for him to bite! We started with target training. We used a closed fist as a target. Once he mastered targeting, we worked on training him to turn in a circle on cue. This is an easy hands off behavior that helped Chile "learn how to learn." What a day it was though when he finally did it! Next thing you know he was stepping up onto new people, transporting easily in a carrier, and performing his circling behavior for school groups. He later also learned how to do a retrieve. Now staff members are looking forward to training new behaviors with Chile. His screaming for attention has decreased dramatically. And he has even learned to like a few men. For me, I am happy to know that Chile's life has changed for the better. Even more rewarding for me is to hear the staff members who work with Chile sharing what they have learned with others. I must admit I beam a bit like a proud mom when one of my "students" becomes the teacher. Congratulations to Chile and his trainers! 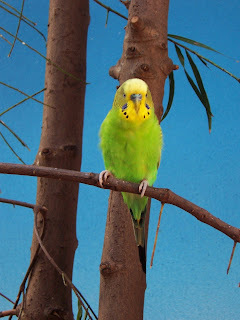 You will see Toby the Meyer's parrot who used to bite his caregiver. 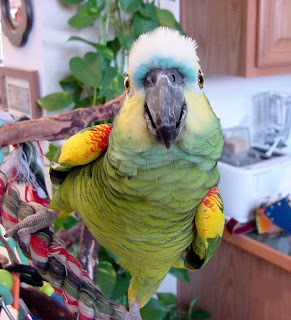 With positive reinforcement training he has become a completely different bird....in a good way : ) There are some clips on training parrots for medical behaviors, for training parrots for trick behaviors, and more. There is also a news piece on a zoo animal training seminar and also some clips from a Parrot Behavior and Training workshop presented in Sweden last year. Well, it sure has taken me awhile to get on here. And I do apologize. I see there were even a few lovely posts wondering when the heck this thing might start up. Thanks for letting me know that there is some interest. I could certainly ramble on about various things, but my guess is most people are stopping by to hear about parrot training and behavior! So lets get to it. 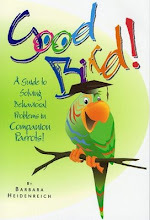 I know many who visit www.goodbirdinc.com are already well versed in the science behind the practical application of animal training. But when I cruise around the internet it is pretty obvious there are many who have yet to discover how helpful it is to wrap ones brain around the terminology. While it is true you can train without knowing the science. I do think it makes a big difference in your overall success and is very important in helping people use the kindest, gentlest methods possible. I read on another site today that "parrots dont understand punishment" Hmmmmm. Not true : ) Just like any learning creature they sure do understand it. The site also went on to mention that negative punishment wouldn't work with a parrot it. Again negative punishment works quite well. I think the author made a simple mistake that can be attributed to not knowing what "negative punishment" actually is. In this case I think the author really meant punishment that involved the application of an aversive. (Which by definition is actually positive punishment) But even so...it works too. It is easy to get the "negative and positive" thing a bit jumbled up as we tend to think of those terms meaning "good" and "bad." It helps to remember they mean to "add" or "subtract" in the science. To sum up both negative punishment (the removal of something) and positive punishment (the addition of something -usually an aversive) both work to decrease behavior.....yes, even in parrots. However most good trainers do their very best to avoid using positive punishment. Negative punishment is something that can be used that is effective and also in the realm of kind and gentle. 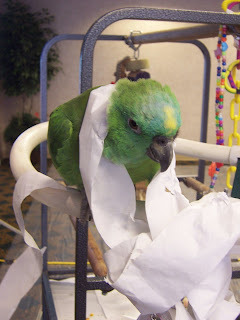 Some of you may know it by its other name "time out from positive reinforcement"
In the Spring 2008 of Good Bird Magazine I wrote an article about Training your Parrot to Poop on Cue. In this article I explain how I used a time out to train my parrot to not poop on me and wait until he returned to his cage. It should be out soon. Once it is ready it will also be available on the website www.GoodBirdInc.com Just go to the digital media page to download.